The good old home theater PC. This can come in all shapes and sizes and fit any budget. Most HTPC’s in use are of the home-built variety, as is mine. Use an old case or, as I did, buy a cheap used device and do some minor upgrades. Personally, I upgrade the video and audio cards and added some RAM. For storage, I have a 1TB hard drive, but most files are stored on my home server. You can also build one from scratch and there are numerous sources online that provide suggestions and instructions. There is even a variety of cases available that can make it look like any other component in your home theater. For the operating system you have a number of choices and I covered all of those back in part one. One other thing to consider is that the Mac Mini can make a good solution here, using Apple’s Front Row software. This is another excellent solution. Mostly because many of you probably already have one in your living room or family room. If so, then you likely already know about the myriad of entertainment options provided through Xbox Live. The service requires an annual subscription, but it is cheaper than cable or satellite. What you may not realize is that these “gaming consoles” can also function as an extender. This means that it can pull media content that you have stored elsewhere on your home network and play it on your TV. Roku may well be the best bargain available in this category of hardware. These little boxes range in price from $49 to $99. The boxes all pack 600 plus channels, built in wireless ((Wi-Fi b/g/n compatible) and 720p high-definition video. Higher end boxes come with 1080p resolution. motion control and an ethernet port. One thing lacking, however, is a web browser. That missing feature could be a deal-breaker for some, as it is for me. Boxee started life as an app for your computer or Apple TV box. Alas, the company no longer produces that software, but has moved into strictly being a hardware product. The initial box was “unique” looking, but the new product is more traditional and has also pared the price down from the rather steep $199 of the original hardware. Now known as the Boxee TV, the boxes retail for $99. 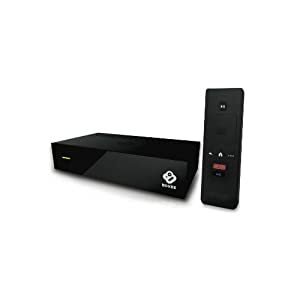 It features the ability to act as your cable box or can work with an antenna. It also packs a number of internet apps like YouTube, Pandora and Netflix. Most importantly, it features an “unlimited” DVR thanks to cloud storage. More and more manufacturers are getting into the Google TV market with prices beginning at $99. Even more are on the way, as we recently learned at the Consumer Electronics Show. This is perhaps the most full-featured and open option in this review. Due to the fact that this packs the full power of Android behind it, you have access to the Google Play store, which means apps, games, music and video. It also contains a web browser — Google Chrome, of course. It even comes with voice search. In addition, many new TV’s are coming with Google TV built right into them. 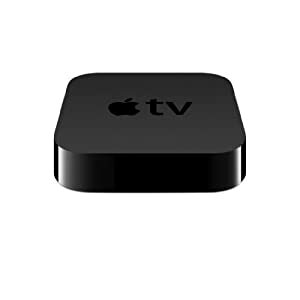 Apple TV is arguably the best known solution, mostly due to the Apple name, but it is not necessarily the best. Don’t get me wrong — there is nothing wrong with the Apple TV, it just doesn’t pack in as many features as many of its rivals. These tiny boxes provide access to the iTunes store for music and video, as well as Netflix, Hulu Plus, Major League Baseball, and the ability to stream content from your computers — both Mac and PC. The above listed devices are the primary ones on the market, but they are, by no means, the only ones. I personally have been using a Netgear NeoTV recently — in fact, I have been using it more than my HTPC, although that is mostly due to the computer beginning to show signs of its age. While any of the boxes I have listed above should work just fine for most users, if you want the largest amount of features and the most control over your box then I would recommend the Google TV. 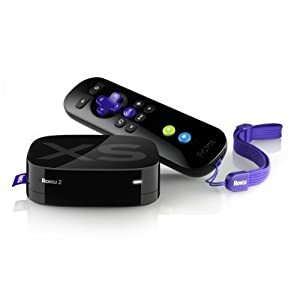 If you are simply looking for the best price then you may want to look at the Roku, which starts out much cheaper than its rivals. It is also no slouch when it comes to features. Regardless of what direction you go in here there really is no way to lose because any of the devices will bring countless new features and services to your TV and help make your cable or satellite subscription become irrelevant.